A growing body of research shows that urban farms reduce violence. 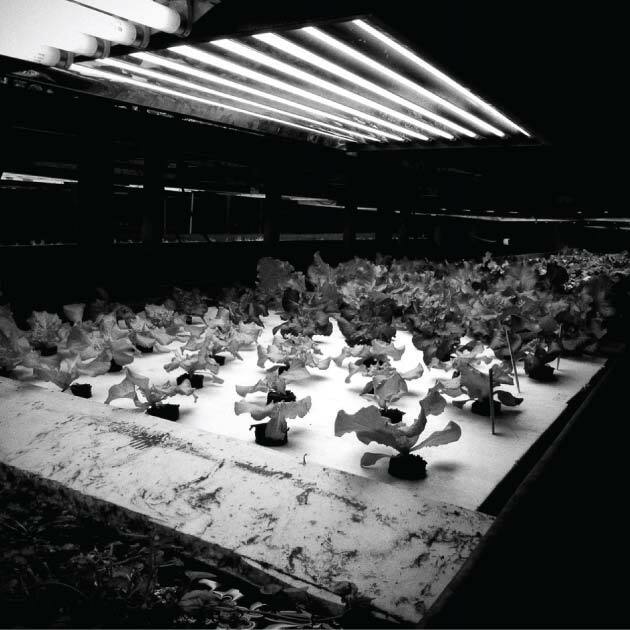 Looking at Schiffer’s photos and talking with people involved in urban farming, I’ve come to realize that their efforts have less to do with providing healthy food than they do with a reclamation of sorts, taking ownership of their community and their daily lives. Growing Home is one of Chicago’s larger urban farming projects, much of it located in Englewood, one of the city’s poorest neighborhoods. While it harvests 13,000 pounds of vegetables a year on a half-acre site, nearly all are sold to restaurants and at a farmers market on the city’s more prosperous North Side. 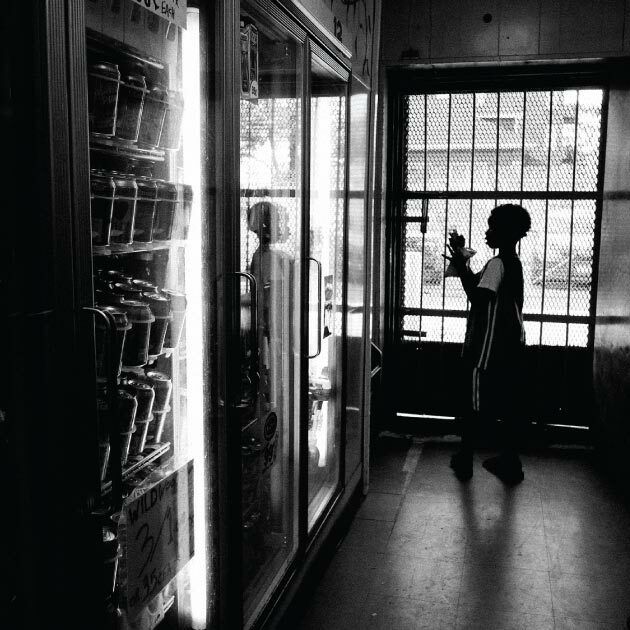 But Growing Home has altered the landscape of the neighborhood—and it employs local residents, many of whom because of past indiscretions have trouble finding work elsewhere. 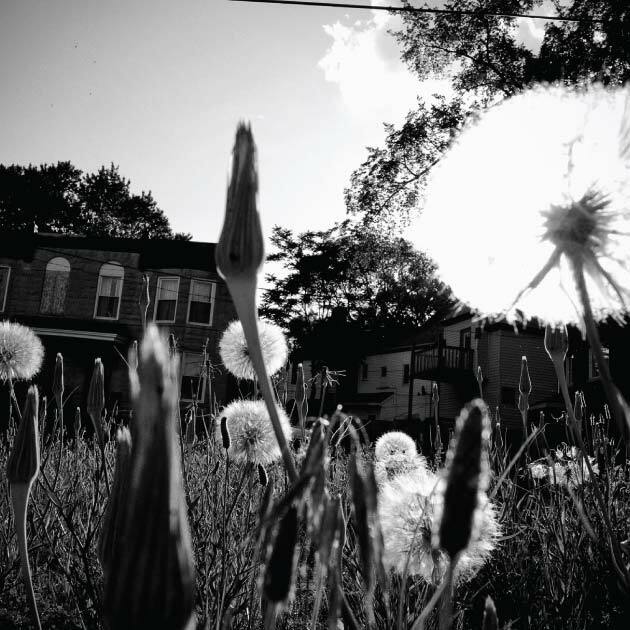 On Chicago’s South Side, corner stores are filled with processed food, and vacant lots are filled with weeds. But thanks to dedicated volunteers, some are being turned into urban oases. Fred Daniels, a handsome, soft-spoken 29-year-old, his hair tightly braided, drove me down the alley that cuts through his block in Englewood. “It’s embarrassing,” he muttered as we counted six abandoned homes and seven vacant lots, all overgrown with waist-high grass and dandelions, all marred by debris, mostly sofas and piles of wood siding. When Daniels was a teenager, he’d use this land for shortcuts or late afternoon parties. “If I could get it,” he said, “I’d just divide it with all the people on the block. And it don’t have to be organic farming. 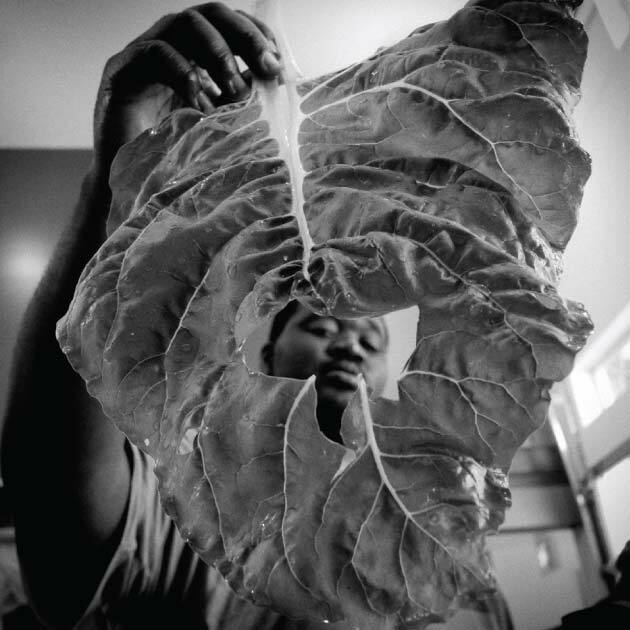 People would actually feel a part of something.” For Daniels, who spent eight years in prison—first for attempted murder, then for possession of cocaine—his life now revolves around food. 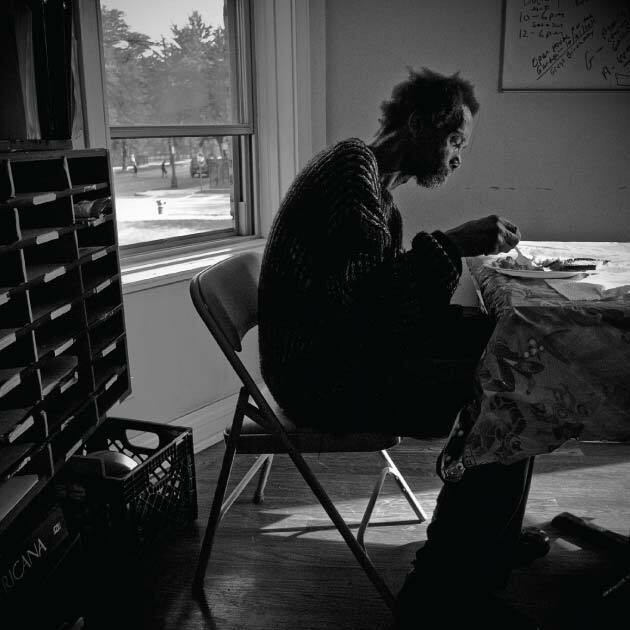 In prison, he learned to cook, and when he was released he got a job at Growing Home. He tends the beds of Asian lettuce and Swiss chard (two foods he’s come to savor), the tomatoes and beets, the carrots and spinach. He covers the arugula to keep away the flea beetles. He’s learned about genetically modified food and chemical-free farming. He takes solace in prepping the beds, turning the compost, then adding and raking in alfalfa meal and potassium. He’s now learning how to keep bees. 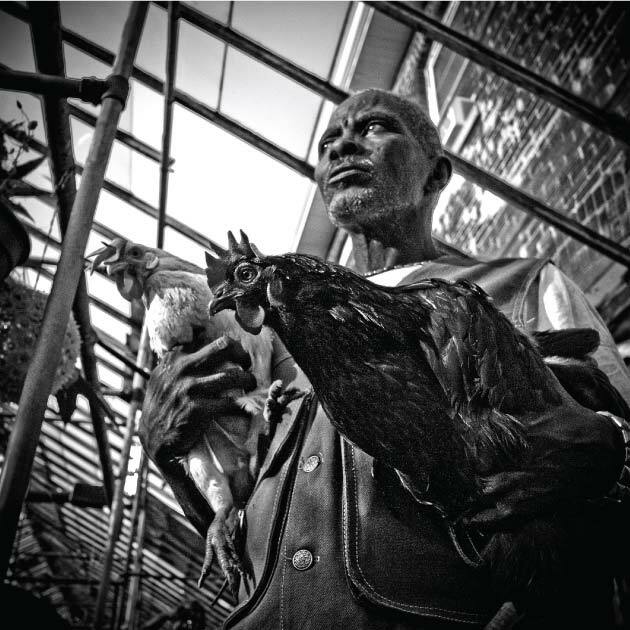 Gregory Bratton (with chickens) has helped 50 community gardens come into being; in a YouTube video he jokes that he’s the South Side’s Johnny Appleseed, except he spreads tomato seeds. Growing up in a place like Englewood, events often feel out of your hands, and things happen without much logic. When Daniels’ grandmother tried to grow a garden on the lot adjacent to their home, she was told by the city she couldn’t; it planned to redevelop the lot. Twenty years later, the land’s still vacant. When I drove down the alley later by myself, a neighbor came out of his home to warn me. “Man, you can’t be riding through these alleys,” he said. 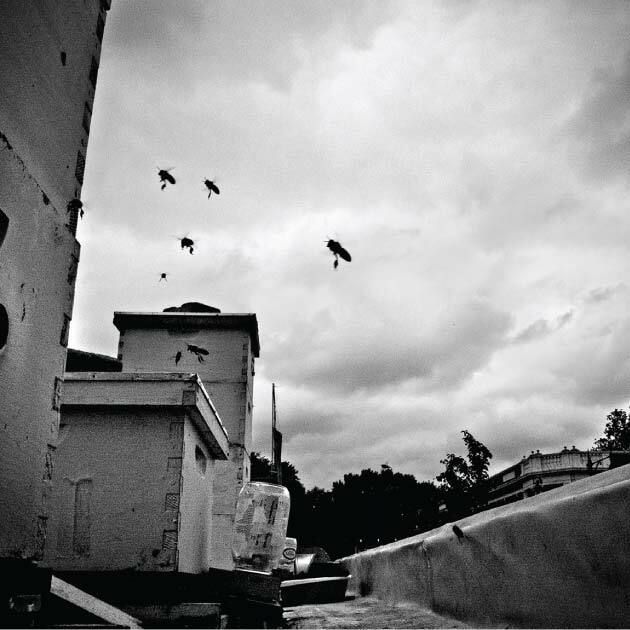 “You’ll get shot up, for real.” In neighborhoods marked by years of neglect and atrophy, you celebrate those fleeting moments, those small instances where you call the shots, where you’re constructing order out of disorder. And you hope that in time those moments become more frequent—and durable. 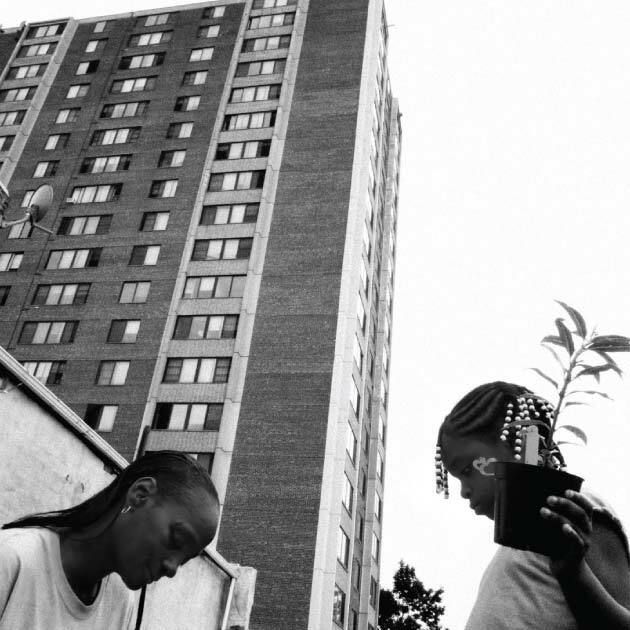 There’s been a growing body of research that suggests that urban farming and greening not only strengthen community bonds but also reduce violence. In 2000, Philadelphia had 54,000 vacant lots, and so the Pennsylvania Horticultural Society reclaimed 4,400 of them, mowing lands, providing upkeep, planting trees and gardens, and erecting three-foot-high fences that served no purpose other than as a kind of statement that this land now belonged to someone. The greening of these parcels (just 8 percent of the vacant land in the city) had an unexpected effect: Over the course of 10 years, it reduced shootings in the areas surrounding these renewed lots. Part of it was practical: The vacant lots had previously been hiding places for guns. But as Charles Branas, an epidemiologist at the University of Pennsylvania who released a study on the project late last year, says, “People just became more in touch with their neighbors. People felt more connected to each other.” Calls from neighbors complaining of nuisance crimes—acts like loitering or public urination or excessive noise—went up significantly in the immediate vicinity of the newly greened land. At first, Branas worried the land had attracted ne’er-do-wells, but what he came to realize is that it had emboldened neighbors to call the police for minor disturbances, something they hadn’t done in the past. 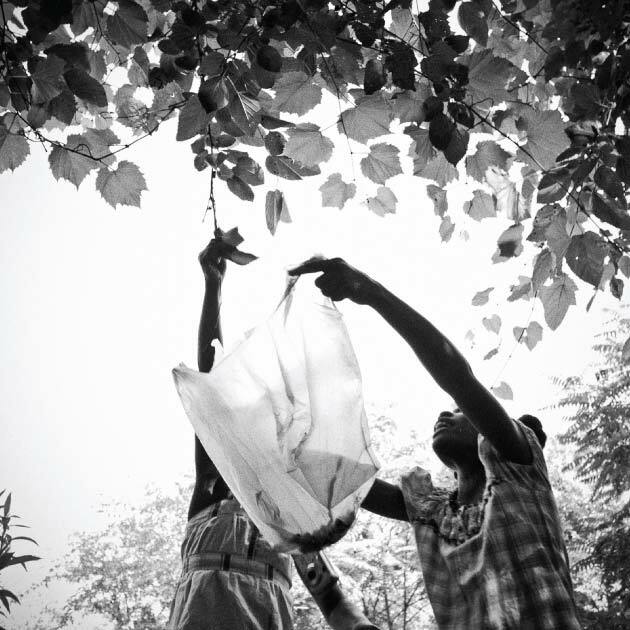 The Centers for Disease Control and Prevention has begun to look at greening as a tool for violence prevention. An intern washes greens from Growing Home’s Englewood farm.At the Community Christian Alternative Academy, a charter school on the city’s West Side, students have been gunned down in neighborhood incidents. Principal Myra Sampson says they’re in a constant state of agitation. “A bump in the hallway can lead to a major flare-up,” she told me. “It’s almost like, ‘The only thing I have is myself and my image. '” To help combat violence she built a garden just north of their building, a place that now draws people from throughout the community, young and old, a place to share lunch or just congregate. Neighbors feel such ownership over the garden that Sampson has never seen the need to erect a fence. The school’s also experimenting with aquaponics, and she says that the communal aspect of growing food and raising tilapia and perch has gotten students more invested in each other and in their neighborhood, so much so that she’s asked the city—which has embraced urban farming as a community development tool—to turn over 10 vacant lots to the school so that it might convert them into gardens and orchards. Uncommon Ground keeps bees as well as vegetables on its rooftop garden. When Growing Home began its first Englewood farm six years ago, it too had aspirations of transforming eating habits. But when it opened a farm stand, no one came. And soon Growing Home’s mission began to change. “We don’t delude ourselves that we’re solving the food desert problem,” Harry Rhodes, Growing Home’s executive director, told me. “It’s to use food as a tool to change individual lives and to change community.” Research has shown that if you diminish violence, people will be less stressed, and less-stressed people eat healthier. The RTW Veterans Center on the South Side uses its produce to provide free organic meals to area residents. This project was developed with support from the Magnum Emergency Fund, in partnership with Mother Jones. The Magnum Emergency Fund supports experienced photographers with a commitment to documenting social issues, working long-term, and engaging with an issue over time.